Continuing my story, so day two we woke up to a beautiful view and decided to enjoy the breeze while we ate our breakfast. After stuffing our faces with nommy-nommy paranthas we were taken to Chail by car arranged by Royal Tulip Kufri team. The drive was just BEAUTIFUL! After strolling through the palace, we drove back and on the way back ate the most yummiest maggie. Later went to the Spa at Royal Tulip to relax ourselves. Ended the day with some Himalayan food, watched movies and called it a night . 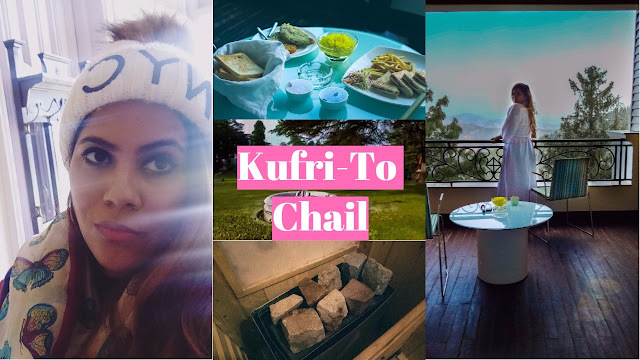 This was all we did on Day 2 in Kufri, do check out my Kufri VLog Day 1 too!